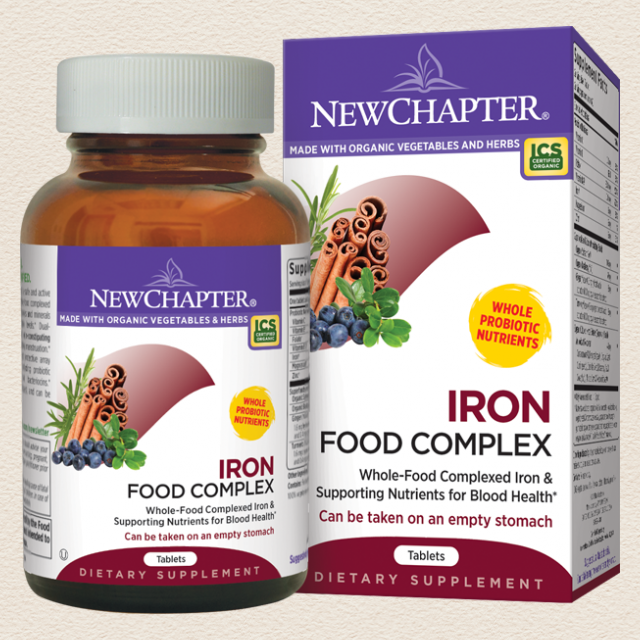 o deliver the full profile of Nature’s bounty to you, each nutrient in Iron Food Complex is cultured in live probiotics. Those are the healthy bacteria found naturally in fermented foods such as yogurt, tempeh, kefir, and sauerkraut. By culturing vitamins and minerals in a probiotic matrix of fermented organic soy, fruits, and vegetables, we create whole-food complexes that the body can easily recognize and digest because they’re food. 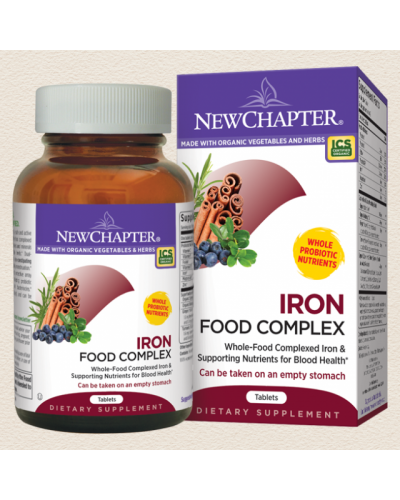 Whole-food complexed Iron is combined with seven blood bonding vitamins and minerals to support healthy hemoglobin and myoglobin levels. Dual-cultured Iron in a convenient, easy to digest, non-constipating form is useful during periods of blood loss including menstruation. Probiotic-cultured nutrients provide a broad spectrum of phytonutrients and ferment metabolities, including isoflavones and beta-glucans. † Nutrients are cultured in organic media that may contain: organic milled soy, organic yeast (Saccharomyces cerevisiae), organic maltodextrin, organic gum acacia, organic orange peel, organic lemon peel, organic alfalfa powder, organic molasses, enzymes and Lactobacilli (L. acidophilus, L. bifidus, L. rhamnosus). Other ingredients: Organic gum acacia, contains less than 2% of: silica, lac resin and carnauba wax.